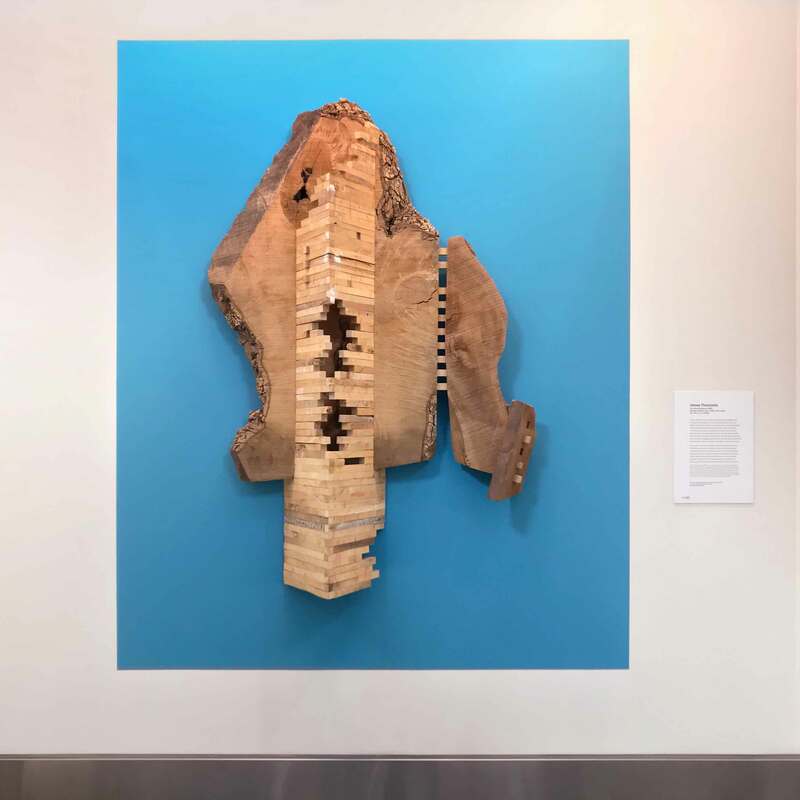 Now on view pre-security in North Baggage Claim through the PDX Art Program is a handsome reclaimed and salvaged wood relief sculpture titled The World Between by Portland artist James Florschutz. Florschutz is a sculptor with a long-standing career of over forty-seven years in art and design. His art production is a spontaneous, intuitive cadence of layering and editing recycled materials from the streets of Portland to create monumental sculpture and wall relief. Creating mixed media sculptures from the discarded detritus of our society, Florschutz believes that the materials have their own distinctive language and histories that tell unique stories to reveal insight into our culture’s perception of the environment. 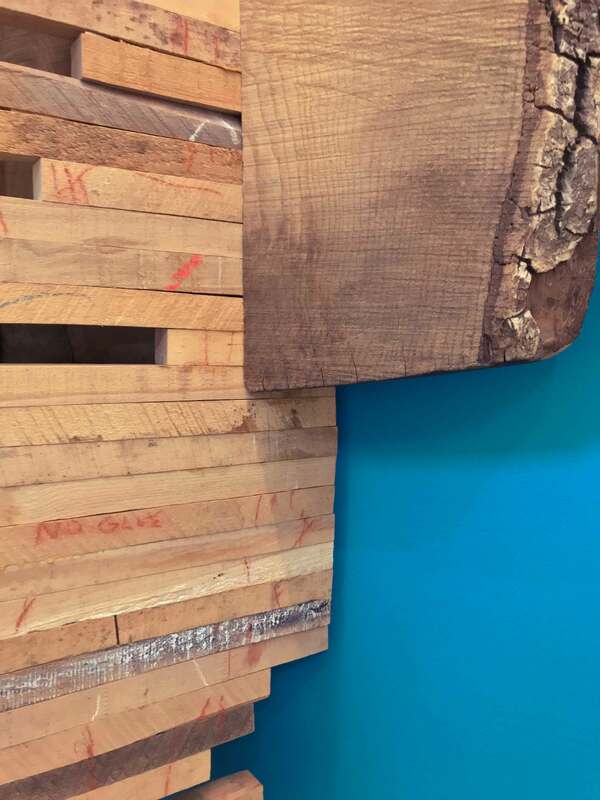 At the turn of the 21st century, James Florschutz’s practice shifted from sculpture inspired by the natural environment produced from natural materials found in forests and along streams and rivers toward sculptures assembled with throwaway materials and scraps primarily from the construction industry. 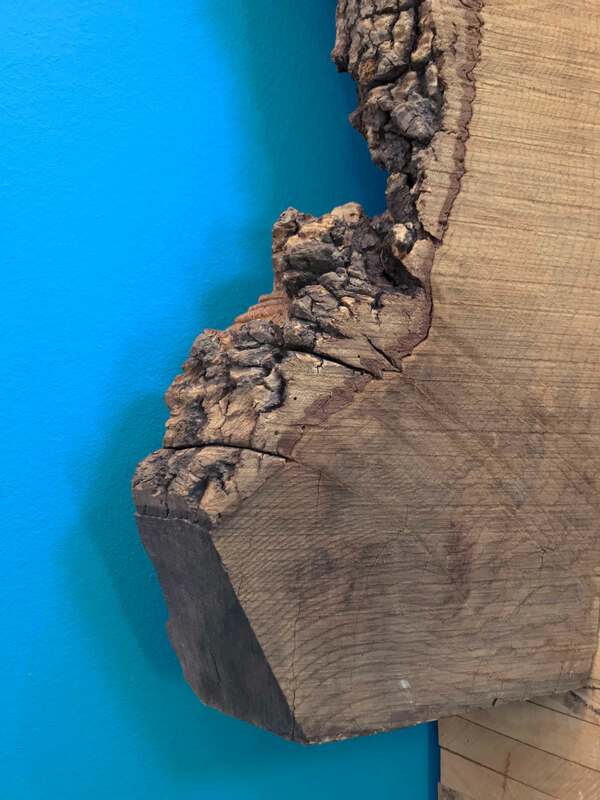 Florschutz’s work has steadily transitioned from honoring nature to looking at humankind’s impact on nature. 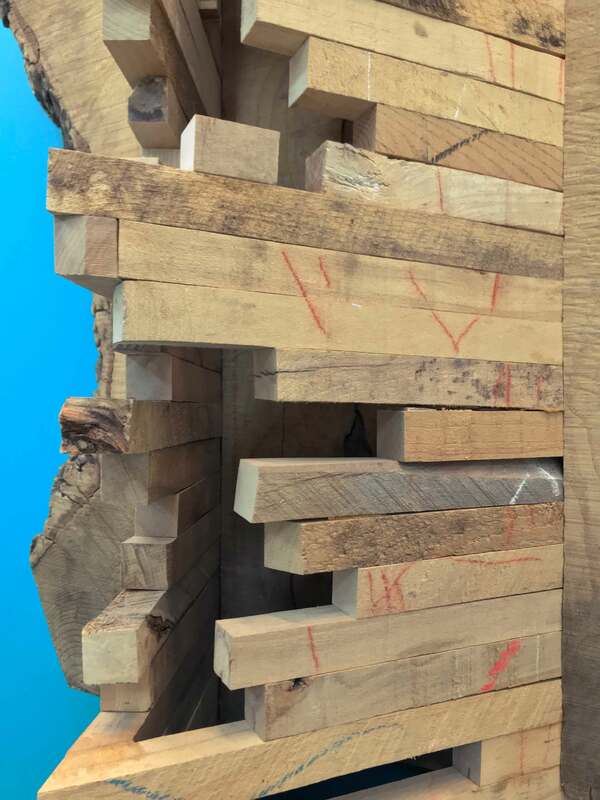 James Florschutz has exhibited his sculptural work in solo and group exhibitions across the United States, including OK Harris Works of Art and Cynthia Reeves in NYC, and Augen Gallery and Wieden+Kennedy Gallery in Portland. His work can be found in private and public collections such as Duke Energy in Charlotte, NC and Meditech Corporation in Norwood, MA. Florschutz has received numerous awards and honors, among them, a project grant from Portland’s Regional Art and Culture Commission. He holds a B.F.A. from Florida International University. The World Between will be on view in North Baggage Claim at PDX between the escalators through March 9th of 2019. For more information about James Florschutz and his dynamic professional practice, please visit JamesFlorschutz.com or email james@jamesflorschutz.com.